I mentioned that I attended the Keller Williams Family Reunion Convention last week. Me and 8,523 of my best friends and family. KW has a knack for picking the most amazing and remarkable keynote speakers, and this year we were treated to Seth Godin. 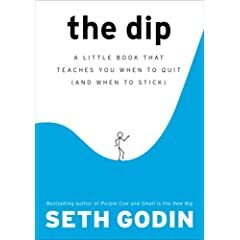 I've been reading his books for years, my first being Permission Marketing, and most recently The Dip. It's funny how much I filled in the blanks about him, and how he communicates in person, based on his writing. He's got the same quick wit and no-nonsense style on the stage that he shows in his writing, but he's quite gifted as a presenter. Being a trainer by profession, I marveled at his thorough preparation, including a stunning number of effective visuals, an uncanny knack for stating the obvious in powerful ways, and knowing his audience (real estate professionals) well enough to tailor the presentation perfectly. I'm not much of a "keynote" presenter myself -- my style is much more that of interactive facilitator and trainer -- but I find myself taking copious notes and committing to incorporating as much as I can from what Seth Godin appeared to offer so effortlessly. Even though I own and have begun reading the collection of blog posts called Small is the New Big, I have never looked at his blog till this morning. 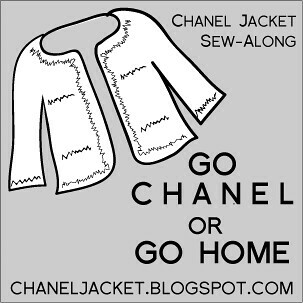 But I have bookmarked it and will add one more stop to my daily blog roll.